the cinderella project: because every girl deserves a happily ever after: White Out! Oh dear! It looks like this poor bride is caught in a bit of a winter flurry! How will she be able to make it to the church on time? What say you bride? 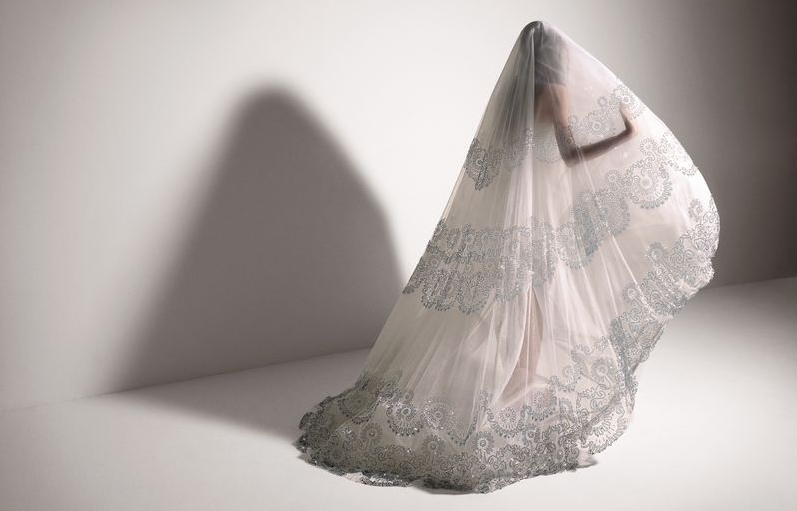 Is a dramatic, fashion forward full length veils like the ones seen in Monique Lhuillier's Fall 2009 runway collection something on your to do list? Image from Unbridaled via Faces of Design.